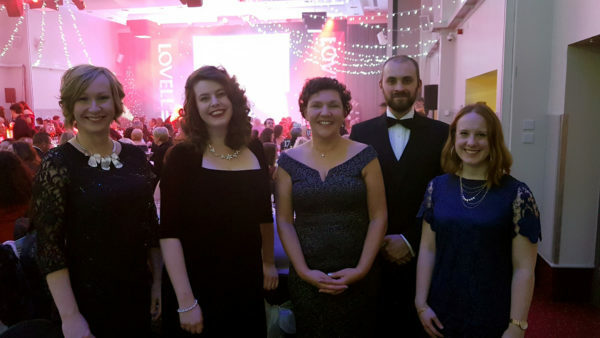 On Friday 23rd November, the Tai Pawb team travelled to the Vale Resort Hotel in the Vale of Glamorgan after being shortlisted for two Welsh Housing Awards. We submitted nominations for the New Ideas and Innovations, and Valuing Equality and Diversity awards. Open Doors is a two year Big Lottery funded project managed in partnership by Tai Pawb and the Residential Landlords Association Wales. It engages and empowers landlords and tenants to reduce issues of inequality and discrimination in the private rented sector. The project quickly became established and has had a major impact on landlords and tenants in Cardiff, the Vale of Glamorgan and Merthyr Tydfil. Nearly 100 landlords have reported an increased level of confidence and knowledge of equality legislation, with nearly 200 tenants becoming more aware of their rights and responsibilities. This knowledge and awareness will inevitably filter down into many neighbours, friends and communities leading to better equality outcomes for both groups. QED is more than just a prestigious quality mark for the Welsh housing sector. It provides a comprehensive, Wales specific framework for reviewing and improving the equality and diversity impact of your organisation across governance, services, access, involvement and culture. Helping us as our ‘pilot’ organisation and the first to undergo the QED process was Melin Homes, and we nominated ourselves for this award as partners. Having them on board from inception through to the first completed award was extremely important as we were able to refine the process as we went along, and they’ve given us lots of valuable feedback. We were delighted to take both awards back to the office after an exciting evening of passionate speeches and inspiring projects. Huge thank yous to CIH Cymru, the judges,and everyone who came to congratulate us on the night. Being such a small team, we were truly honoured to receive both awards and it proves the power of partnership. 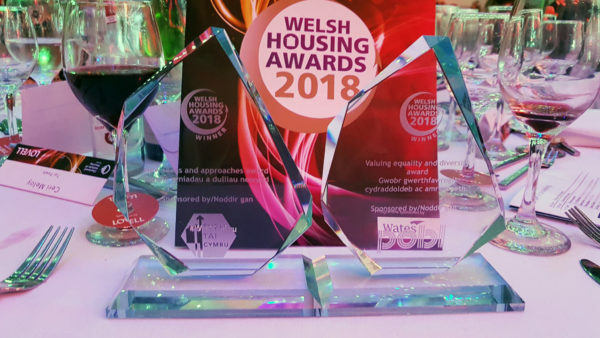 RLA Wales and Melin Homes have been great to work with and we look forward to the progress and impact that both projects will continue to deliver. You can read about all the nominated work in CIH Cymru’s fantastic Good Practice Compendium (Compendiwm Arfer Da).